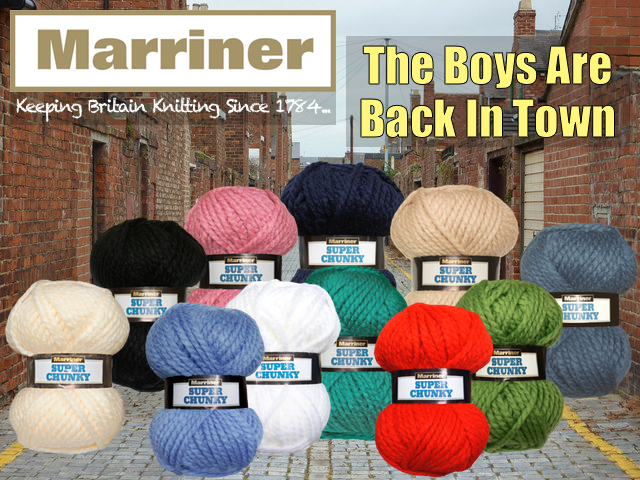 The Marriner Yarns Team are excited to share the news with you that almost our entire range of Super Chunky 100g are now back in stock. As a result of Super Chunky being so popular with our customers, and stock being sold faster than we could replenish it, we urge you to order soon so as to avoid any disappointment. 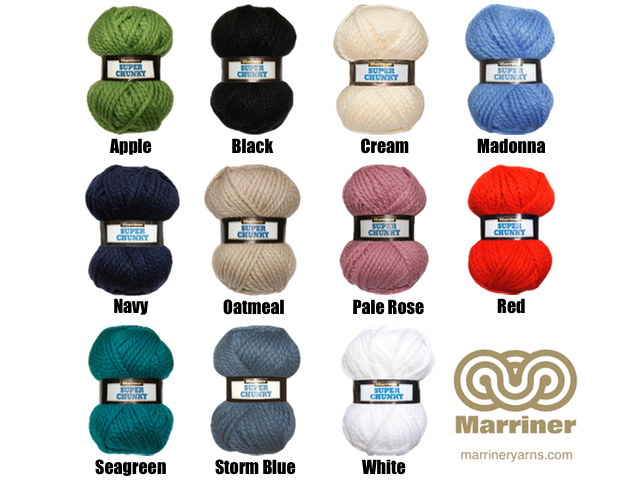 For further details on all our products please visit our Marriner Yarns website, and we also look forward to hearing your comments and opinions on Super Chunky and our other products via our Facebook page.